A healing circle involves a group of souls who gather in a circle to give and/or receive healing and energy to either a person, the planet, or something else such as the consciousness grids that create our reality. This type of group healing goes back to the ancients, who left behind circular monuments where ceremonies were conducted. 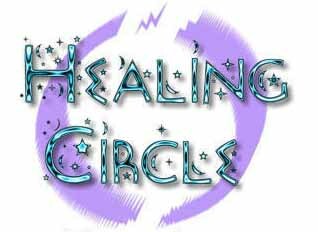 Whatever the purpose of the meeting of the people in the healing circle, it can be based on religion, a lunar cycle, a solar cycle, the needs of the specific person, or something else they wish to heal. The healing circle can last a short period of time, but often people bring blankets so they can share their energies overnight. As with all healing techniques some people come along because they love the energetic experiences, others believe that the healing circle has made a difference. The concept of the circle goes back to reality completing this cycle called Time. It's part of completion. It might be fun to experience, if only just once and much more effective in nature. The group can sit, stand, lay down, hold hands, drum, dance, chant, or use any other technique that feels comfortable to them. Enjoy.